A surprising discovery in the growth behavior of copper – an important ingredient in modern electronic devices – was made by a research group from Kiel University, Germany, in collaboration with staff from the European Synchrotron Radiation Facility (ESRF) in Grenoble, France. The team headed by Professor Olaf Magnussen found that minute quantities of chloride in the electrolyte solution have a decisive influence on the structure of the growing films, which in turn determines their electrical behavior. These findings, just published in the renowned journal Physical Review Letters, will help engineers to better tailor the high-tech production processes for semiconductor microchips. Copper with its superior electrical properties is the material of choice for the electric wiring in modern consumer electronics. Copper films on circuit boards as well as the ultra small connections on microchips are produced by discharging copper ions from solution with the help of an applied voltage. 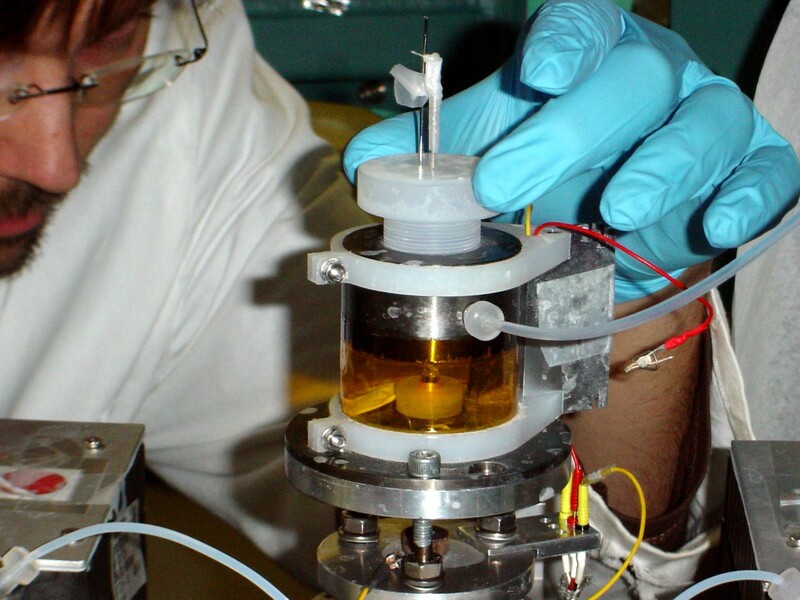 The research team studied how exactly the atoms attach to the growing surface during this electrodeposition process, using the brilliant X-ray radiation of the ESRF. They found that with increasing voltage the copper films grew smoother. “This actually was a big surprise”, Magnussen explains. “Other metals, for example gold, grow rougher at higher voltages and this is also what current theory predicts.” The scientists finally could pinpoint the anomalous behavior of copper to the arrangement of the atomic layer of chloride ions present on the surface. Copper atoms moving across the surface have to push through this layer and become more mobile at higher voltage, where the chloride is more weakly bound. Since reliable operation of microchips depends on high-quality electric connections, the control of the copper growth to optimize its properties is a subject of intense research. “People in industry have known for a long time that you have to have a bit of chloride in the solution to get good films, but nobody really knew why”, Magnussen points out. The new results finally may solve this mystery and help improving the fabrication processes for Cu wiring in semiconductor industry. Kiel University is a research university in Northern Germany with proven international expertise in the field of nanoscience, including research using synchrotron radiation. In a number of research networks, funded by the German Federal Ministry of Education and Research, Kiel scientists develop new methods and instruments. 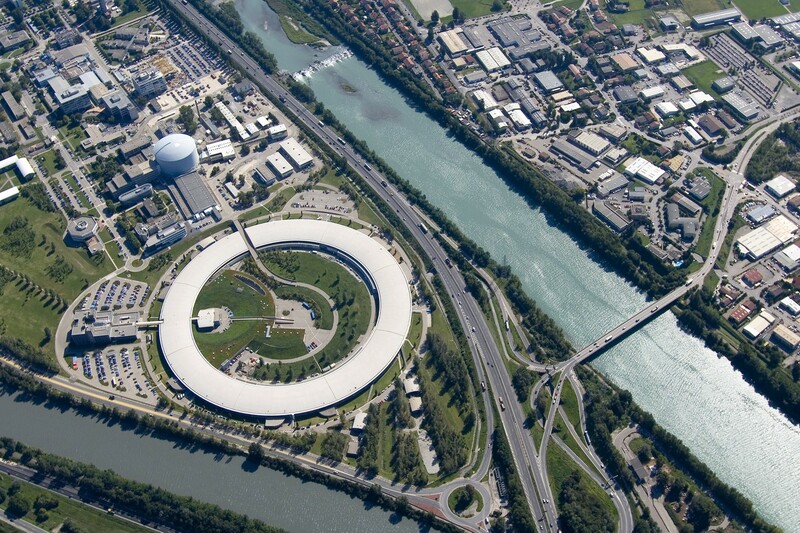 The ESRF is a European research institution, funded by 19 nations, providing and utilizing brilliant synchrotron X-rays for advanced scientific research. Caption: Graphical representation of the growth process. Deposited copper atoms move across the surface through a layer of chloride. 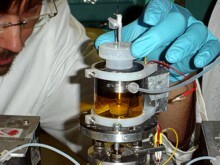 Caption: Mounting of the copper sample in the X-ray experiment at the European Synchrotron Radiation Source.